Indiegogo campaign will launch on September 20, 2017. As a species, humans have always wanted to fly; not only through the invention of planes, balloons and rockets, but figuratively through philosophy, poetry and art. KRAKOW, POLAND, September 07, 2017 /24-7PressRelease/ -- In appreciation of the enthusiastic response to AVIONICS V1, AVIONICS is launching an Indiegogo campaign on September 20, 2017. At the beginning of the campaign, customers will be able to get a discount of 40% - the exact hour of the launch will be revealed shortly. The AVIONICS V1 normally retails for $9450 USD but customers ordering at the very start of the campaign can get a discount of 40% on this price. The discount will reduce each day of the campaign so savvy shoppers should be sure to order as soon as possible. 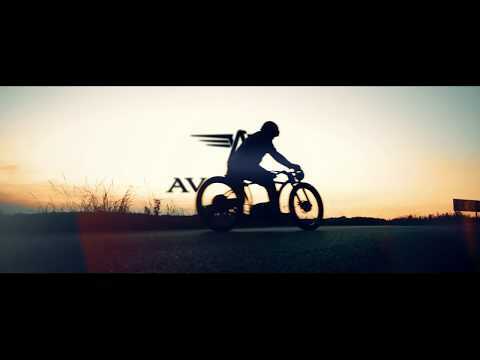 Production of the AVIONICS V1 will begin on the final day of the campaign and the premier edition is limited to just 60 e-bikes. Bikes will be shipped once production is finished; estimated time for shipping is late spring 2018. "Don't worry if you're too late to order the AVIONICS V1 premier edition," says co-founder Bartek Bialas. "You will still be able to order the next bikes. Nonetheless, we encourage people to join us on September 20th. Let's roll together!" AVIONICS V1 is an electric-powered bike with a maximum speed of 58 km per hour. Crafted from steel, wood and leather, AVIONICS V1 is a premium, hand-made bike with unique distinguishing features. For example, every bike has a lamp which is considered by the designers to be the 'soul' of the bike. The idea for AVIONICS V1 was hatched in July 2015 when Jaromir Dziewic and Bartek Bialas first met. Both were adventure junkies with a passion for transportation and inspired by nature. The AVIONICS V1 is easy to control and riding it can remind one of flying. "As a species, humans have always wanted to fly; not only through the invention of planes, balloons and rockets, but figuratively through philosophy, poetry and art. So we wondered how could we get off the ground in both a metaphorical and a literal way?" recalls Bartek. For more information on this exciting opportunity go to www.avionics.bike. Our story begins in July 2015 when Jaromir and Bartek first met on a Baltic beach. This lucky coincidence - the fact that they're both adventure junkies who share a passion for transportation and take inspiration from nature - gave birth to AVIONICS. As a species, humans have always wanted to fly and we've managed to achieve this in so many ways and through so many means - a fighter plane, balloon or space rocket. We also reach for the sky through philosophy, poetry or art - in a less literal, more abstract way. So how could we get off the ground in both a metaphorical and a literal way? Craving adventure and nature is an element. An element that's dangerous and seductive, something that pushes us forward. It's the desire to fly, with avionics helping to keep this under control and (relatively) safe. It's the same with our AVIONICS - you can control it easily and riding it reminds you of flying - just as in a dream, when you glide over fields, mountains and moors.